Great news ! Finally BCCI announced Indian Cricket Team list for Zimbabwe Tour 2015. Middle order Batsman Ajinkya Rahane going to lead India’s Cricket team first time. 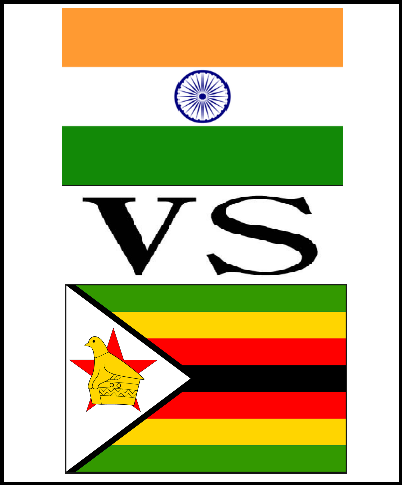 Mahendra Singh Dhoni, Virat Kohli, Rohit Sharma, Suresh Raina, R.Ashwin and Dhawan were rested for Zimbabwe Series. (One Day and T-20 Cricket Match). Cricket legend Harbhajan Singh who made his test come back earlier, was picked to play for Zimbabwe series . Robin Uthappa, Monoj Tiwari also been recalled for Zimbabwe Cricket Series. Ajinkya Rahane (Captain), Murli Vijay, Ambati Rayadu, Maoj Tiwari, Kedar Jadhav, Manish pandey, Robin Uthappa, Harbhajan Singh, Axar Patel, Karn Sharma, Dhawal Kulkarni, Stuart Binny, Bhuvaneswar Kumar, Mohit Sharma, Sandeep Sharma. Cheteswar Pujara (Captain), KL Rahul , Abhinav Mukund, Karun Nair, Shreyas Iyer, Naman Ojha, Vijay Shankar, Amit Mishra, Pragyan Ojha, Shardul Thakur, Varun Aaron, A.Mithun, Umesh Yadav, Shreyas Gopal, Baba Aparajith. Jobrule Sports News published on 29th June 2015 (Monday) after BCCI Team Selection Committee announcement . Like our Jobrule Facebook Page tpo get all latest updates regarding Trending news.